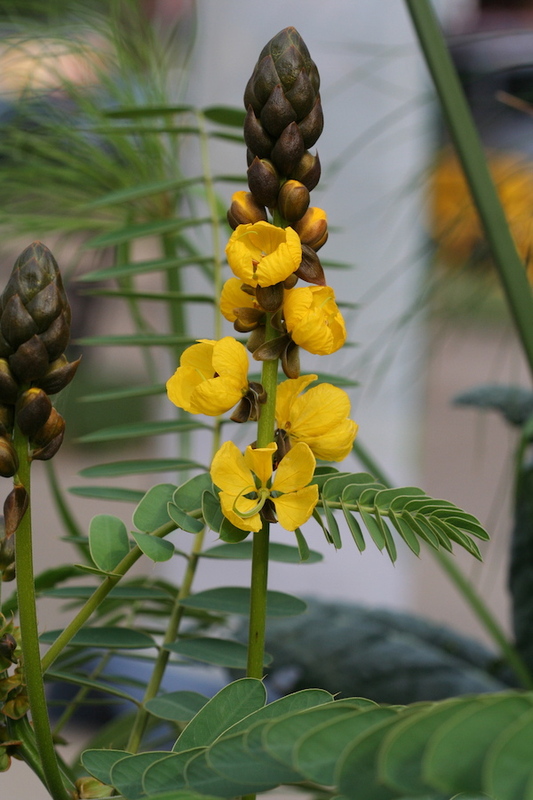 Smells are powerful, and the scent of popcorn plant (Senna didymobotrya) will bring you right back to the movie theaters of your childhood. This plant, which is also called cassia, smells so much like buttered popcorn that you’ll swear it is a relative of corn. The blooms of popcorn plant look a bit like popcorn but the scent comes from the leaves. It’s not, though. Popcorn plant is a member of the legume family and is native to tropical sections of Africa. For northern gardeners, this is an unusual and fun annual plant, and is especially popular with children. The scent emanates not from the blooms, but from the leaves, which run in pairs up and down the branches. 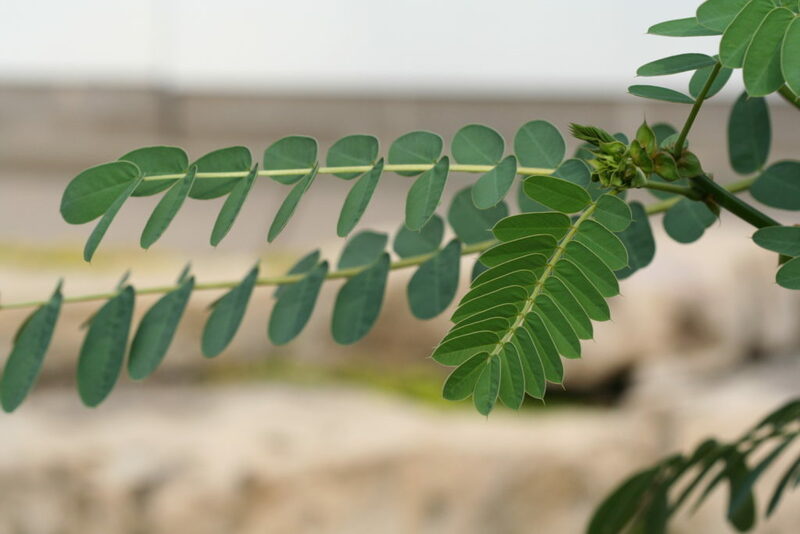 Leaves can be up to 3 inches long with a dozen or more pairs along each branch. To bring out the popcorn smell, just run your fingers along the leaves and then smell them. If the smell is not enough, the blooms of the plant look like unusual popcorn ears and each bright yellow bud resembles popped corn. In its native habitat, popcorn plant is a shrub, growing 10 to 25 feet tall. Here, it will typically stay between 2 and 3 feet tall after a season of growing with the blooms rising tall and straight above the leaves. Popcorn plant grows well in containers, and while it is not difficult to grow, it has its demands. The plant loves hot, humid weather (it comes from the tropics, so that makes sense) and it likes lots of sun, water and fertilizer. If you grow it in a container, plan to water daily and fertilize on a regular schedule for best growth. Popcorn plant typically flowers in late summer into fall. Some gardeners bring plants indoors for winter, storing them in greenhouses to get them through to next spring. While it can be grown from seed, most home gardeners buy it as a start in the spring and treat popcorn plant as an annual. One important thing to remember: Popcorn plant is poisonous. So, if you have pets who nibble on plants or small children, this might be a plant to avoid. Have you ever grown popcorn plant? The leaves of popcorn plant have an intriguing shape and they smell just like popcorn.